Manage employees, vendors, and other resources at every step in the process. 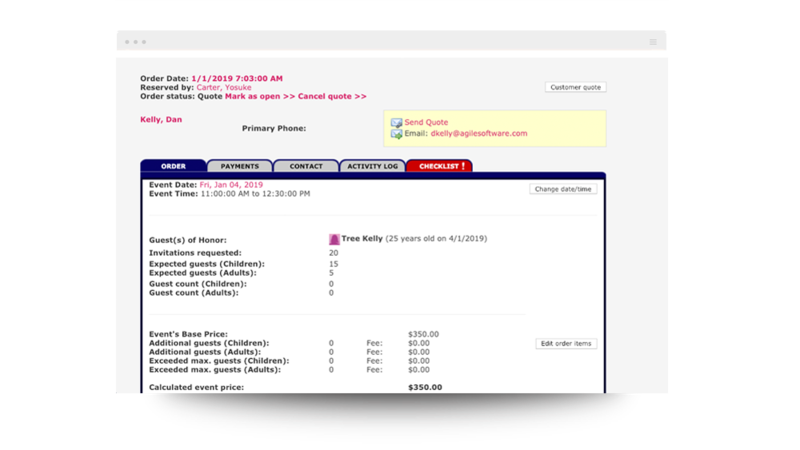 Easily create quotes and sales orders for groups and parties to get the ball rolling. A better resource planning process means less confusion and mistakes. Ensure nothing slips through the cracks by having custom checklist items for you and your staff with every order. 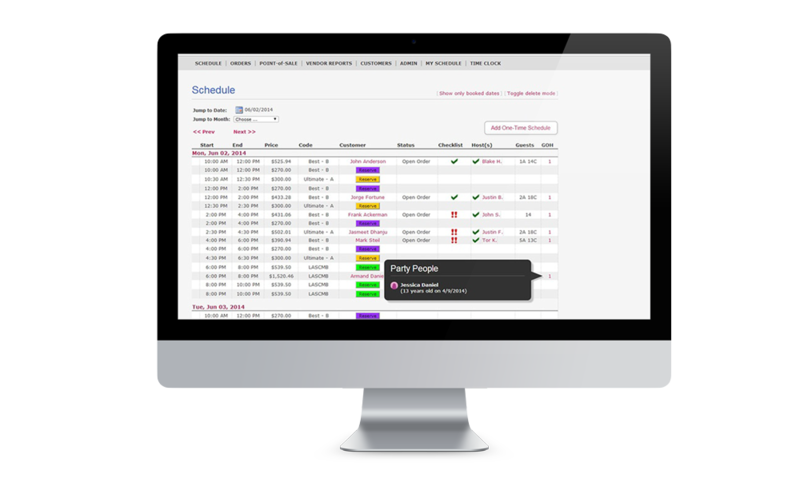 With employee scheduling linked to each party, you can create ownership and accountability. Clocking in and out is as simple as entering a user name and password. Get reports of hours worked by staff members to make payroll a breeze. Create and email invoices with ease and automatically assign tips to party host(s). 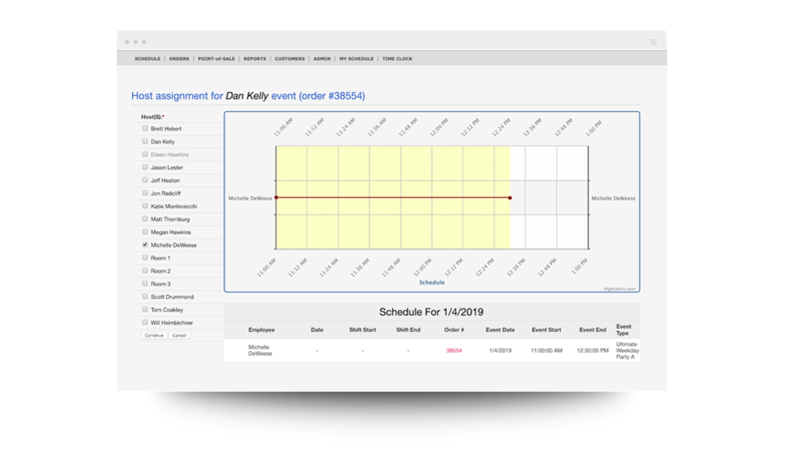 Create and assign specific products to vendors, set up delivery times, and run reports for specific order dates. See an overview of all parties and events for the day. 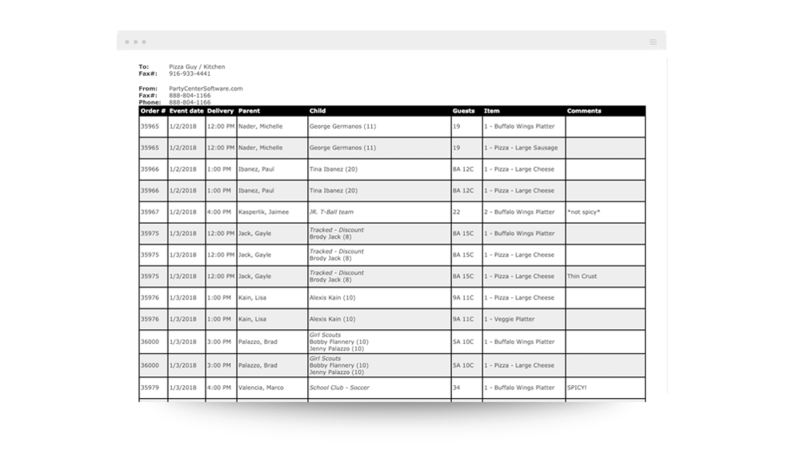 See which packages sell, guest counts, and revenue for events at any given time. 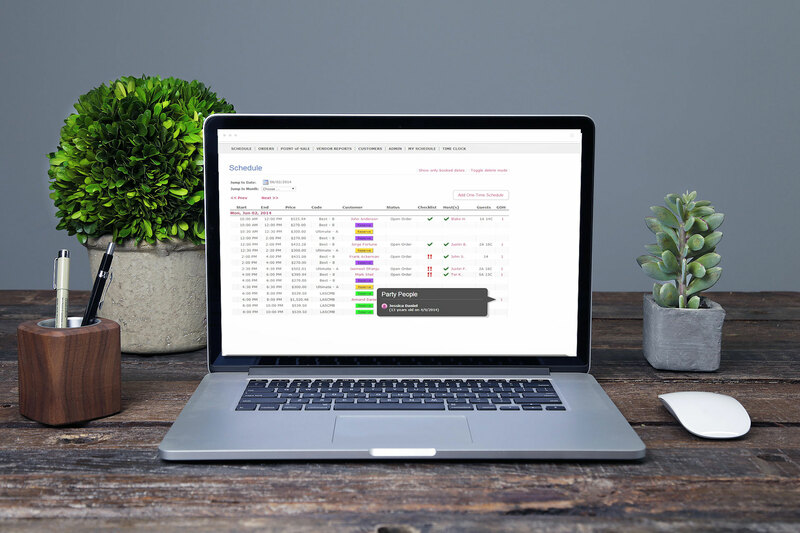 The ease of customization to fit the needs of the user as well as the ability to make and process party deposits online make it easy for our customers to lock in their event while they are in the decision-making process and ready to spend. Check in process is more streamlined, party booking is easy, and the POS is a simple layout that I can teach to anyone. We love all of the different type of reports that we are able to run. PCS has met all our needs we never want to switch softwares! Want to see how we can help you manage resources for your business? Talk to one of our experts today!